Revised on: By popular demand(?! ), I am presenting a list of hobby shops in other major cities, such as Osaka, Kyoto, Sapporo, and Fukuoka. The list is compiled based on the information available in the net, recommendations from my friends, and information and photos kindly sent to me from users of this shop list. Thank you very much for those of you who took trouble and made great effort to contribute to us all! The following pieces of information are provided for each shop. There may not be the subnumber in the rural areas. I may add the building name and floor number at the end of the address line. Open Hours: Many shops are open everyday. However, new year holidays are NOT listed here. You had better ask the shop, if you intend to visit Japan around the new year. Web Site URL: If the shop has one. E-mail address: If any. Note that the e-mail address is provided in this page as an "image", rather than a text string, in order to avoid generating spam messages. Map 1: The map provided in the shop's web site. Note that these maps are often schematic and are probably very difficult to understand for those who do not understand Japanese. Map 2: Towm map(s). Town maps provided by Google. Atlas Reference: the page number in "Japan Atlas" if applicable. Latitude & Longitude: Use these values to locate the shop in your favorite map software. Information in this section is kindly provided by Patrick Brown, who visited Sapporo and Chitose in November/December 2009. Thank you Patrick! Comment Very well stocked shop. Lots of armor kits and many resin and photoetch upgrade sets. The prices were a bit higher than the deals that can be found in Akihabara but it is still be far the most extensivly stocked shop in Sapporo that I found. There is a book store in half of the shop so I expected to find lots of modeling books as well but was a bit disappointed. They have some current magazines and books in stock but no back issues. The staff was very nice too. Address 062-8642, Hokkaido, Sapporo-shi, Toyohira-ku, Hiragishi 3 Jyo 2-1-24. Open Hours Open daily, 10:00-24:00. Access The best way to get there is to take the chikatetsu to "Gakuen Mae". It's about a ten minute walk from there. Comment This is a small shop a little over one kilometer north from the Chitose eki. Half of the store is devoted to armor and aircraft and the other to anime, remote control and airsoft. Their prices were a bit high, but they have some nice old kits that I have found hard to find other places (like the very old 1/48 R/C tanks). Very nice folks run the shop. I didn't get their hours. Address 066-0038, Hokkaido, Chitose-shi, Shinano 3-6-12. Access If you leave the west exit of the train station turn north (right) and go just over one kilometer. You will see it on the left near a recyle shop (which also had some models!). I walked it but others might want to take a taxi since it is a bit of a walk (especially in the winter). Comment A long established scale model shop in Osaka, and is very strong in AFV models. Stock is extensive and impressive; all sorts of kits, both injection and resin, accesories, PEs, decals, and books. You won't be disappointed. Address 541-0053, Osaka-fu, Osaka-shi, Chuo-ku, Honmachi 4-8-6, Yokobori Building, 3rd Floor. Open Hours Mon,Wed-Fri: 12:00-21:00, Sat, Sun&Public Holidays: 11:00-20:00. Closed on Tuesday (except public holidays). Access Use stairs C from the platform, go through the ticket barrier, and be sure to go up to the ground level via Exit 4. Find the cafe "Starbucks Coffee", cross the street, Honmachi Dori, to the cafe's side, and turn right. Pass the store "am pm". Turn left at a bicycle shop, "Beck On", and look for the shop's logo with a "Flying Elephant" on the nearby building. The shop is on the 3rd floor. There is another hobby shop, M's Plus, in the nearby area. I recommend you to visit both shops. Address 541-0053, Osaka-fu, Osaka-shi, Nishi-ku, Nishihonmachi 1-7-17. Open Hours Mon-Fri: 12:00-21:00, Sat, Sun&Public Holidays: 10:30-20:00. Access The nearest station is Honmachi on the Yotsuhashi-suji subway line. Get to the ground via Exit 27. Go west along the wide street, Honmachi Dori. You will find the shop at the corner within a couple of minutes. There is another hobby shop, Hobby Land, in a walking distance. I recommend you to visit both shops. Comment Joshin is, like Yodobashi and Bic Camera, basically electric gadget stores. In addtion, they have three big hobby shops in Nipponbashi area, which is the biggest elecric and hobby shop town in the western part of Japan. All of their three hobby shops are with stone-throw of each other. In addition to these three hobby shops in Osaka, Joshin opened a new shop in Kyoto as well. Access From the Ebisucho station, use stairs A from the platform and go to the ground level via Exit 1-A or 1-B. Head for north. After 3 or 4 minuttes' walk, you will find Super Kids Land Main Shop and Character Shop. From Nipponbashi station, reach the ground level via Exit 4, 5 or 10. Head for south. After about 5 minutes' walk, you will find Super Kids Land Character Shop, then Super Kids Land Main Shop on the RHS (west side) of the street. Comment A 5 stories tall shop, packed with model kits, model trains and cars... Scale model kits are on the 2nd floor, and the 3rd floor is "Tamiya World" dedicated entirely to Tamiya products. There also is a book section on the top floor. Address 556-0005, Osaka-fu, Osaka-shi, Naniwa-ku, Nipponbashi 4-12-4. Comment This shop is specialized in Gundam, robots, SciFi and character models kits and goods. No scale model kits here. Address 556-0005, Osaka-fu, Osaka-shi, Naniwa-ku, Nipponbashi 4-10-1. Volks has been in hobby business for a long time, and has produced many original tools and modeling materials. In recent years, it concentrated on SciFi models and doll figures. However, they are now back in scale models! Note: although Volks has many shops throughout Japan, the following Osaka and Kyoto shops, and two shops in Tokyo are currently the only shops with scale models. Comment Its new Hobby Square Osaka shop is solely dedicated to scale models: AFVs, ships, planes, trains, and cars. It occupies 3 floors, and also has a gallery. Address 556-0005, Osaka-fu, Osaka-shi, Naniwa-ku, Nipponbashi 4-9-17. Open Hours Open daily, 11:00-20:00. Access From the Ebisucho station, use stairs A from the platform and go to the ground level via Exit 1-A or 1-B. Head for north, after 5 minutes' walk, you will find Volks Hobby Square on the east side of the street, near Joshin Super Kids Land Character Shop. From the Nipponbashi station, reach the ground level via Exit 4, 5 or 10. Head for south. 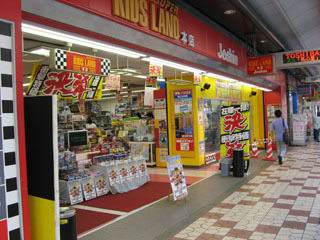 After about 5 minutes' walk, you will find Joshin Super Kids Land Character Shop, on the RHS (west side) of the street. Volks Hobby Square is across the street. Comment This is the latest scale model shop by Volks. It occupies two floors of the head quarters of Volks. The first (ground) floor is entirely for model trains, and scale model kits are on the second floor. Address 600-8862, Kyoto-fu, Kyoto-shi, Shimogyo-ku, Shichijo-Gosyonouchi-machi 60. Access Take a JR local train from Kyoto for Osaka. Get off at the first station, Nishioji. Head for north in the wide street, Nishioji-Dori. In about 6 minutes, you will find Volks' head quarter on the east side of the street. Comment As its sister shop in Yokohama, this shop is said to be very well stocked and organized. 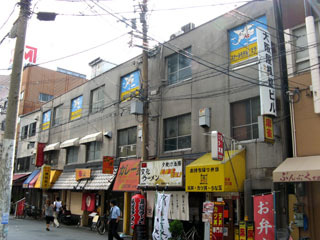 It is conveniently situated in one of major shopping areas in Kyoto. Address 600-8005, Kyoto-fu, Kyoto-shi, Shimogyo-ku, Shijyo-Dori, Yanagibaba-Higashiiru. 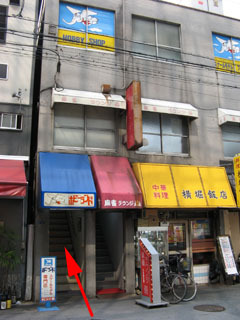 Address 615-0014, Kyoto-fu, Kyoto-shi, Ukyo-ku, Saiintatsumi-cho 38. Comment Conveniently situatated near the JR Kyoto station, it will be easy for tourists to find the place and time to visit the shop. As is the case with other Yodobashi Multimedia shops in Tokyo and Fukuoka, there is a good hobby section in this "electric gadget" shop. You will find good range of plastic model kits, tools, and supplies. Address 600-8216 Kyoto-fu, Kyoto-shi, Shimogyo-ku, Kyoto-ekimae. Open Hours Open daily, 09:30-22:00. Access Yodobashi Camera is right behind the Kyoto Tower on the north side of the JR Kyoto station. It is within 2 minutes' walk from the station. The hobby section is on the third floor. Information in this section is kindly provided by Patrick Brown, who visited Kyushu in 2014. Comment Volks occupies the sixth floor of the Daei department store in Fukuoka. This is a very well stocked shop with lots of kits which are hard to find outside Japan. There are lots of armor kits as well as aircraft, ships and sci-fi/fantasy. They have a full range of tools and paints. They are not well stocked with aftermarket upgrade sets though they did have some Kamizukuri paper foliage for dioramas. I found their prices to be at least as good or better as any place in the Fukuoka/Hakata area. They have a full range of newest armor kits as well as some older kits at very good prices. Address Fukuoka-ken, Fukuoka-shi, Chuo-ku, Tenjin 4-4-11, Fukuoka Daiei Shoppers 6th Floor. Access The best way to get there is to exit the Nishitetsu Fukuoka Station and go north on Watanabe Dori for about three blocks depending on where you exit the station. You will see the Daei building on the east side of the street. Information in this section is kindly provided by Patrick Brown, who stayed in Kyushu in 2014. 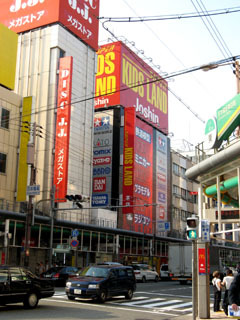 Comment Located in the posh Canal City shopping center, LAOX is a collection of stores that contains Akiba Style. This section of the store is extremely well stocked with all of the well known brands of armor, aircraft, ship, sci-fi, fantasy�c you name it. It also carries a full line of tools, paints and various accessories. Like most shops in the area though, it's selection of aftermarket parts is very slim. The prices are hit and miss. I found some very good deals on some kits but other newly released kits were priced at about suggested retail. The biggest advantage of this shop is that they have a very nice selection of whatever is out there up to and including very new releases. If you are in the area it is well worth a visit. On the floor just above you there is the Ramen Stadium with selections of local ramen recopies from all over Japan so after working up an appetite deciding on which armor kits to buy you can enjoy first class ramen! Neither the shops in LAOX nor the Ramen Stadium take credit cards but not to worry; there are ATMs in Canal City that take internationally issued cards. Address Fukuoka-ken, Fukuoka-shi, Hakata-ku, Sumiyoshi 1-2-74, Canal City, South Building, 4th Floor. Access Canal City is a 10-minute walk from the JR Hakata Station or a 10-minute walk from the Hakataguchi Subway Airport Line Nakasukawabata Station if you leave from exit number 5. Comment This shop is located in the basement floor of the Tenjin Loft building. It has a very nice line of AFV kits as well as aircraft, ships and sci-fi kits. I found this shop to be the best in the area for aftermarket detail-up sets. Their prices are not outrageous but I did find them to be consistently at least a few hundred yen more than other shops. If you find something there you simply must have don't worry, you won't get ripped off. Just be aware that if you have time in town you may find a better deal at another shop. The shop is very crowded and narrow so be prepared. The staff is very friendly and helpful. If you speak Japanese they will chat with you for hours about anything model related. Address Fukuoka-ken, Fukuoka-shi, Chuo-ku, Watanabe-dori 4-9-25, Loft Building B1F. Open Hours Open Monday through Friday 10:00-20:00. Closed on Sunday. Access The best way to get there is to exit the Nishitetsu Fukuoka Station and go south on Watanabe Dori for about one block depending on where you exit the station. You will see the Tenjin Loft building on the west side of the street just past Starbucks. Comment I really wasn't expecting much when I went into this shop. I was very surprised at what I found though. They have a very small model aisle but it's full of older and even vintage kits are outrageously reasonable prices. They even have quite a few recent kits sprinkled in at very low prices. For example; when I visited the Tamiya Type 10 tank kit was a relatively new release. They had it on the shelf for more than 2000 yen less than the suggested retail price. Apparently they stock their shelves with overstock and liquidated inventories from other hobby shops across Japan. The result is very low prices but you never know what you are going to find. I stopped in at the shop every few days over a month's time and each time I visited there was a new drop-dead deal to be had. In addition to the kits they have a tidy little selection of books and very old model catalogs. If you want a 1978 Tamiya catalog this is the best place to look. They also have an amazing selection of vintage toys that are a whole bunch of fun to browse. I really wish I hadn't thrown away my old Ultra Man toys from the 1960's. Address Fukuoka-ken, Fukuoka-shi, Chuo-ku, Daimyo 2-9-5, Grand Building. Open Hours Open daily, 12:0-20:00. They stop accepting purchases at 19:30. Access The best way to get there is to exit the Nishitetsu Fukuoka Station and go north on Watanabe Dori to Meiji Dori. Turn left at Meiji Dori and after about a five minute walk you will see Mandarake on the north side of the street kitty corner form the Fukuoka Chuo Ku City offices. You literally cannot miss the giant yellow letters and the red store front. Information in this section is kindly provided by Patrick Brown, who stayed in Kyushu in 20shi14. Comment This shop is has probably the most extensive line of kits and supplies of the shops I visited in the Fukuoka/Hakata area. It is everything you would expect of a big chain department store. The AFV section has all the new releases plus lots of oldies but goodies. They have all the hard to find kits you just don't see on the shelves in US hobby shops. I was extremely impressed with the wide range of tools and finishing supplies they stocked. The prices are fair but if you are in town for a while you might find slightly better deals elsewhere. None of the prices I saw were exorbitant though. This shop is absolutely worth a visit. Oh, and they have airplanes, ships, sci-fi etc. if you are into that sort of thing. Address Fukuoka-ken, Fukuoka-shi, Hakata-ku, Hakata-eki Chuo-gai 6-12. Access The best way to get there is to exit Hakata Station on the east side and turn immediately right. Walk south about 200 meters (there is a slight jog to the right) and you will see the two Yobodashi Camera entrances on your left. You're there. Comment B's Hobby is a nationwide chain store hobby shop and I've never been disappointed in one from Hokkaido to Kyushu. Their AFV kit selection at this location is excellent and they consistently have kits on the shelf that I've only seen available on-line in the US. The Fukuoka shop had a more limited inventory of aftermarket sets than other B's Hobby shops I've been to but I was still able to pick up some obscure Pit Road etching parts sets that I haven't seen available anywhere else, even on line. They have a nifty selection of tools and finishing products. They also have airplanes and other stuff if you want to waste your time on those aisles. Address Fukuoka-ken, Fukuoka-shi, Chuo-ku, Tenjin 1-11-1, Tenjin Vivre Building 6th Floor. Open Hours Open daily, 10:00-20:30. Access The best way to get there is to exit the Nishitetsu Fukuoka Station and cross Watanabe Dori opposite Tenjin Core building and Tsutaya. B's Hobby is located on the 6th floor of the Vivre building. Comment This one isn't actually in Fukuoka city but quite a ways away out in the the beautiful Fukuoka Prefecture countryside. If your travels take you this far off the beaten path, consider yourself lucky. This shop is one of those diamonds in the rough that I just happened to stumble upon. It's a tidy little shop with a nice selection of AFV kits as well as aircraft, sci-fi and airsoft guns. I didn't ask, but it seems like a relatively new shop. It's a family run and the staff treat you like an honored guest. Address Fukuoka-ken, Iizuka-shi, Komodanishi 3-18-13. Open Hours Open daily, 12:00-19:00. Access About a 15 minute walk from the Shiniizuka Station. Comment This is a very nice mom and pop style model shop near the center of Kumamoto. Their stock of AFV kits is not extensive, but it is still well worth a visit if you are in town. I was able to find some nice deals on some older out of production kits. They also have a nice selection of aircraft and sci-fi kits as well as tools and finishing products. Address Kumamoto-ken, Kumamoto-shi, Chuo-ku, Suidocho 9-28, Yagi Building 1F. Open Hours Open 9:30-19:00, Closed on Thursday. Access The best way to get there from the JR Kumamoto Station or downtown is to take the Kumamoto City Streetcar System to the Suidocho stop. Cross to the north side of the street and walk east for about 150 meters. The shop is on the last corner before the river. Comment This shop has the most extensive line of product that I was able to find in Kumamoto. It is a tidy little family run business that has been around for 45 years as of 2014. They have a large selection of AFV kits that will really take you some time to wade through. They update their stock almost daily and have something new every time I've stopped by. They have all the newly issued kits as well as out of production golden oldies that you just can't find anywhere outside of ebay. Their prices aren't drop deal deals but they are fair prices and you won't get cheated. They also sell model rail roads, air guns as well as tools, paint and finishing products. Address Kumamoto-ken, Kumamoto-shi, Chuo-ku, Komeyamachi 2-21. Open Hours Open daily, 10:00-19:30. Access To get there take the Kumamoto City Streetcar System to the Kawahara stop. From there walk about 1 km northwest to the first traffic light. Turn left. Maru S is about 100 meters down this road on your right. Copyright 2008-2014 (c) Geraet040, All Rights Reserved.